Excellent location. Friendly staff. I would stay here again. Walking distance to all the attractions. Supe4 friendly staff. Excellent location in walking distance to the opera/symphony, James Bay, anywhere in downtown, really. Right near the Legislative Buildings, Inner Harbour, Royal BC Museum, James Bay, Beacon Hill Park, downtown and shopping -- close to everything! It is within walking distance to everything you could want downtown Victoria but in a quieter area of James Bay. We were very pleased with the location in James Bay, pool and hot tub amenities, towel service, staff and kitchenette. By the boats and alongside the sea, James Bay is a charming part of Victoria you can’t miss. Come see what the fuss is all about on your next trip to British Columbia. Surrounded by the Strait of Juan de Fuca and Victoria Harbour, the southern downtown neighbourhood of James Bay is a watery retreat. Grab a paddle and kayak around the shore, or lace up those comfortable shoes to walk by the Parliament Buildings or the famous Royal B.C. Museum. You may also want to stroll through the colourful Beacon Hill Park, one of the oldest green areas in the city. 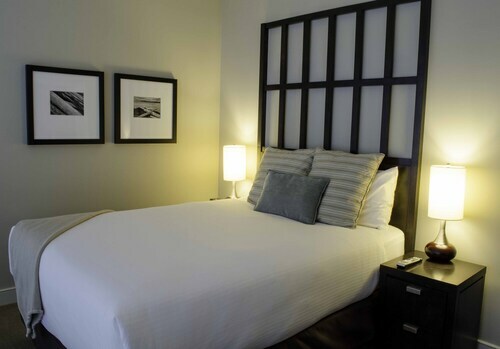 After your days exploring, you can count on a cozy James Bay hotel to welcome you back. 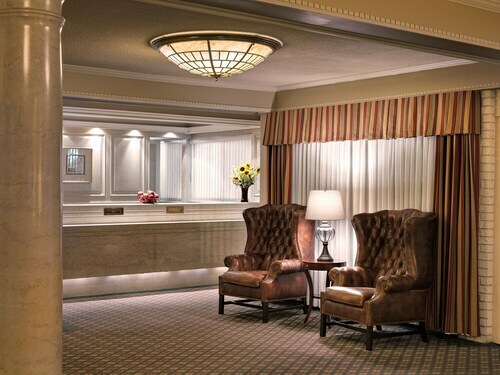 And don’t think that a bayside suite will deplete your travel fund – book your Victoria hotel right here on Expedia.ca for the steepest discounts on accommodations. Choose from a plethora of rooms with all the amenities you love on a vacation, like complimentary newspapers, friendly wake-up calls, fresh coffee, and in-house dining. With more money saved on accommodations, there’s plenty to spend on Victoria activities. Whether you want to rent a kayak for an extra day, purchase a ticket to the Victoria Bug Zoo, or catch a show at the McPherson Playhouse, let Expedia help you leave more cash in your travel fund. Don’t miss the boat on a vacation to James Bay. With so many parks to walk in, sights to see, and activities to try out, this is a holiday you more than deserve. Let us help you get there easier and cheaper than ever before.